...and wanted some for her grand children, an 8 year old boy and a 9 year old girl. 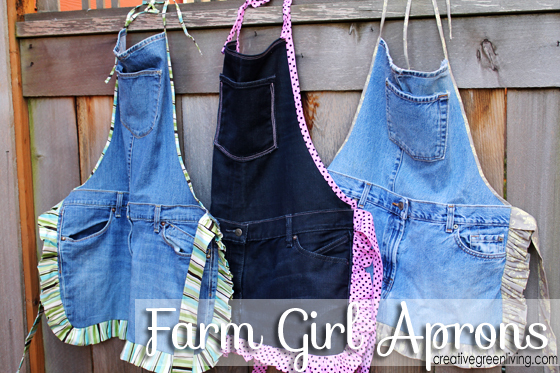 I agreed and am happy how the mini versions of the apron turned out. 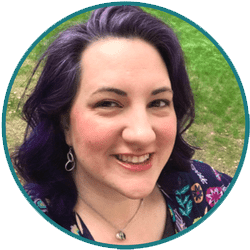 I'll tell you all about the modifications I made to make them kid friendly. 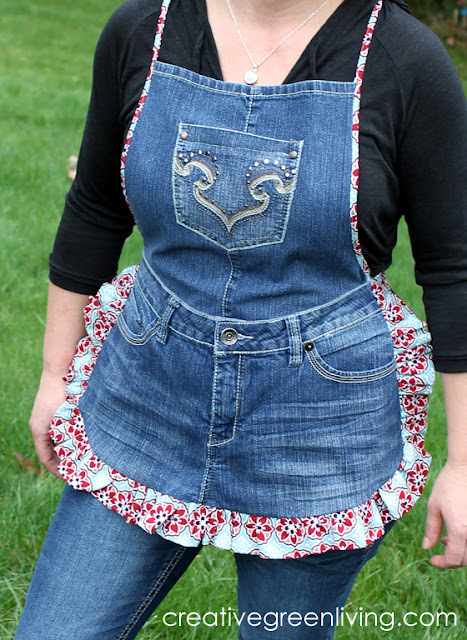 If you want to make your own aprons, please be sure to check out the original tutorial for instructions on the basics of making an apron from old jeans. To make the apron more masculine, I used boxier lines and some rough, unfinished edges. 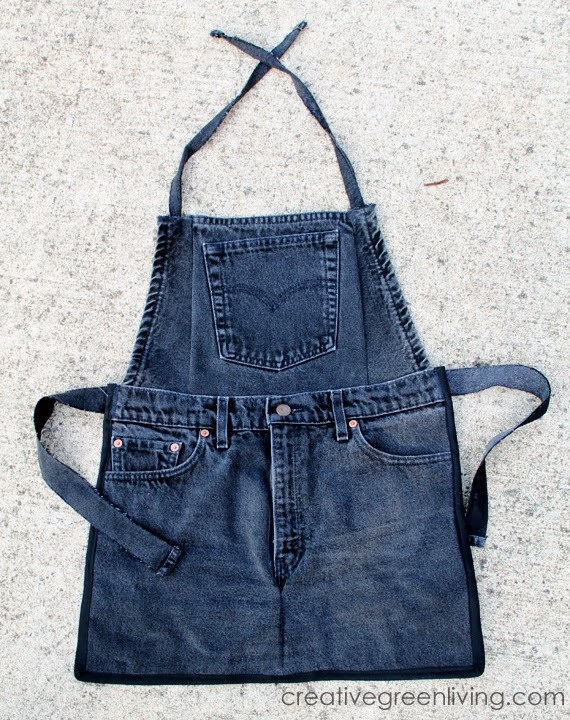 This particular apron is made from a pair of black adult male denim shorts. I cut the front straight down and straight across instead of the more rounded shape of the girly apron. I edged it in plain black bias tape. The top center is from the back yoke (I just left the pocket attached where it already was on the shorts and cut out a center panel. The sides of the top are scraps from the hem. The top and side ties are scraps from the back of the shorts that were cut and then top-stitched. This keeps them from unraveling but gives the ties a rough masculine look. I added a ruffle only on the bottom edge instead of around the full circumference of the skirt. I used pink pre-packaged bias tape to trim the sides of the skirt as well as the top. I used a strip of bias tape to add an accent to the top pocket. 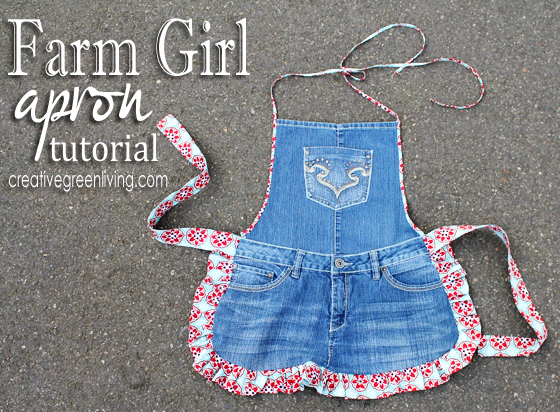 If you want to make your own aprons, be sure to check out the full, original tutorial here. 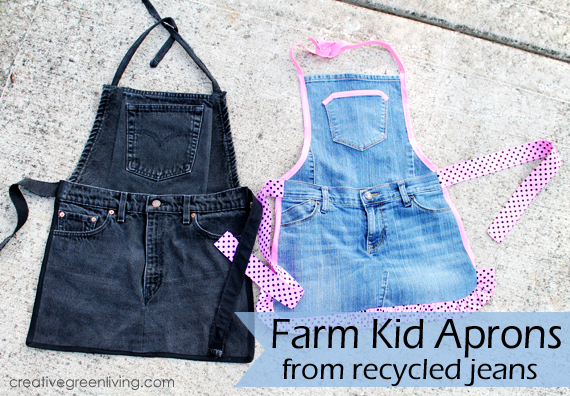 Start by making one for yourself and once you understand the mechanics of how the apron goes together, get creative and personalize one for every member of your family! 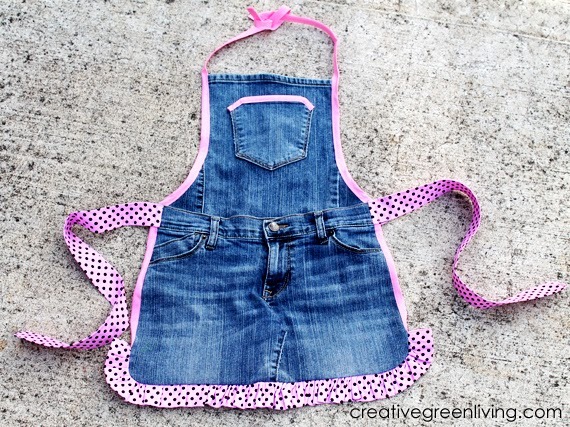 The raw edges are on the inside of the apron and I didn't do anything with mine. You could zig zag them or use bias tape if they bother you. I no longer sell aprons.